It is the responsibility of contractor to prepare drawings and related structural design to submit to owner of the project for approval and review. The structural design consideration and calculation for proposed system/systems of micropile also have to submit. These documents have to submit before twenty calendar days of proposed start date. The design and drawing submittals must be produced by registered design professional having license in proposed state or region and only sealed documents are approved. The construction procedures of any type of foundation and structural work are also very important and the contractor must submit construction procedures with detailed explanation to owner. The owner will review the procedures proposed before awarding job to a contractor. The construction procedures should include schedule of equipment resources to be used in micropile drilling and installed. The constraint of time is not only applicable for contractor but also have requirement for owner side too. We know steel is an essential material for micropile construction. Except reinforcing bars, all structural steel used for micropile installation should be fabricated by shop drawings, previously approved by owner. The owner means not only the owner alone as he/they may not have geotechnical, structural knowledge. Owner can appoint qualified engineers for review, approve and supervision of micropile construction. 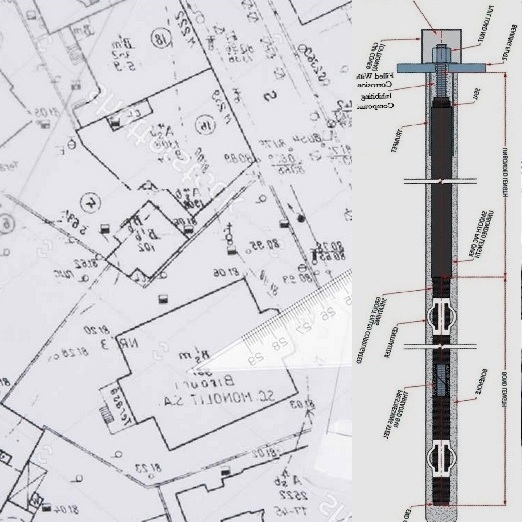 The shop drawing along with working drawing, as discussed in previous post have to submit to owner for approval and review. For reference, the submittal has to include acceptability of intended mix design verified by test results conducted in established laboratory. Mill test certificates issued by metal industry have to be submitted to owner to have record. We have already discussed about metal reinforcing bars, casings, pipe for micropiles in our previous posts. At least two sets of coupon tests are required when mill certification not available for core steel or steel pipe that are used for permanent casing, for each load supplied to micropile project. No work should be started until all submittals are received, approved and if required reviewed in writing by owner. At least 2 weeks should be allowed for review, providing comments, returning drawing submittals after complete set is received. When additional time required for reviewing and approving due to unacceptable or incomplete submittals, the owner should not be claimed for delay. Any cost involvement due to wrong submission of documents will be responsibility of contractor.